With the temperatures set to drop even further and snow forecast for much of the country, keeping our little one warm while still being able to get out and about is essential as our puppy is not quite as happy snuggled on the sofa as I am! I have been popping our son in this dreamy baby blue snowsuit by The Little White Company, now on sale. It's so soft and cosy that I know it keeps the cold at bay and the cute little ears on the hood make it even more endearing! My favourite piece is new this season and I love that it completely bucks the trend of dressing your baby according to their gender (although I do that a lot myself...see above!). 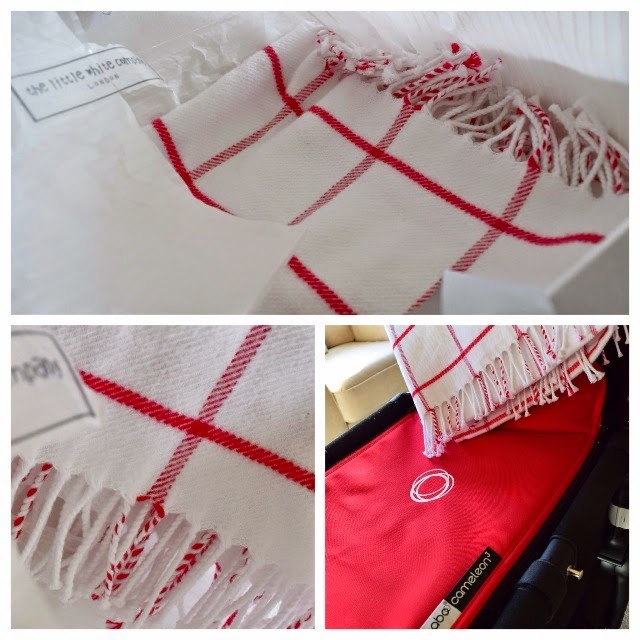 The Woven Check Blanket in red is absolutely gorgeous. 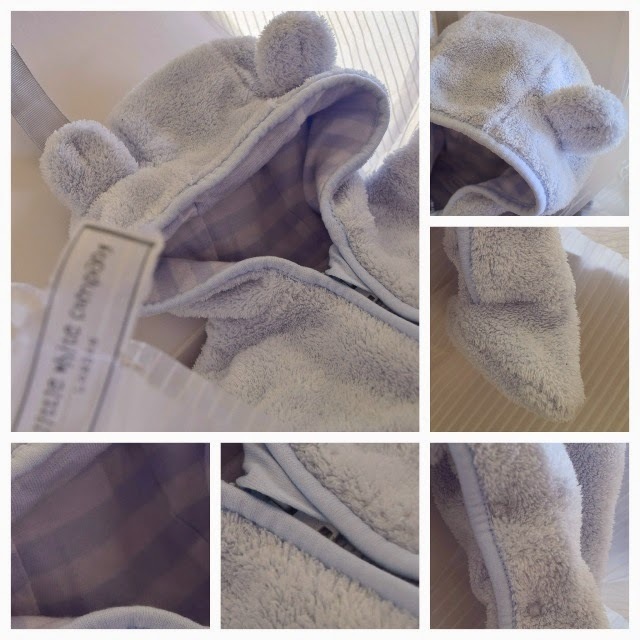 It is much heavier than the cellular blankets you pop on your baby when they are in their crib, so is only suitable for cold days but, as we have been having lots of those, my angel has been tucked under this on many walks. The fact that it matches our Bugaboo Cameleon 3 is no bad thing either! 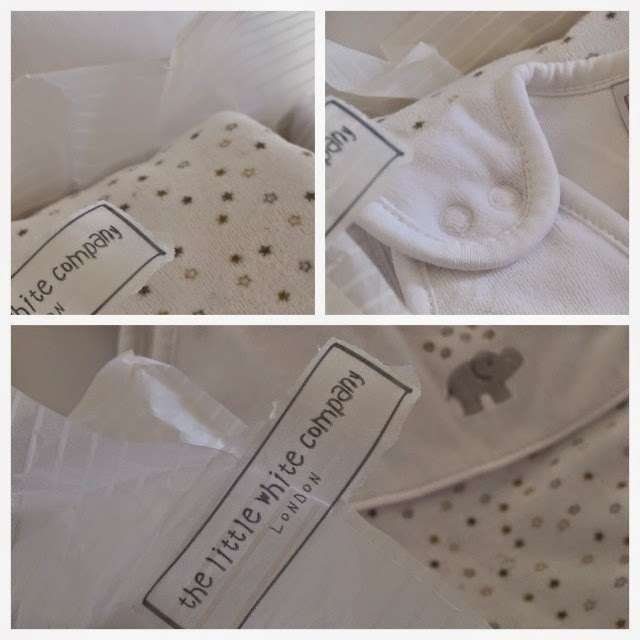 My penultimate item is yet another nod to my obsession with The Little White Company! Their range of sleeping bags have been invaluable for us already and, although this design is no longer in stock, they have so many to choose from that you will be spoilt for choice (we have several and they're equally gorgeous). With their popper buttons at the shoulders and zip along two edges, they're easy to use, great for when you're day is a mixture of in and outdoors. Added to that is the fact that they come in a range of togs to suit the weather. A shocking break away with my final item today is from Boots Mini Club. 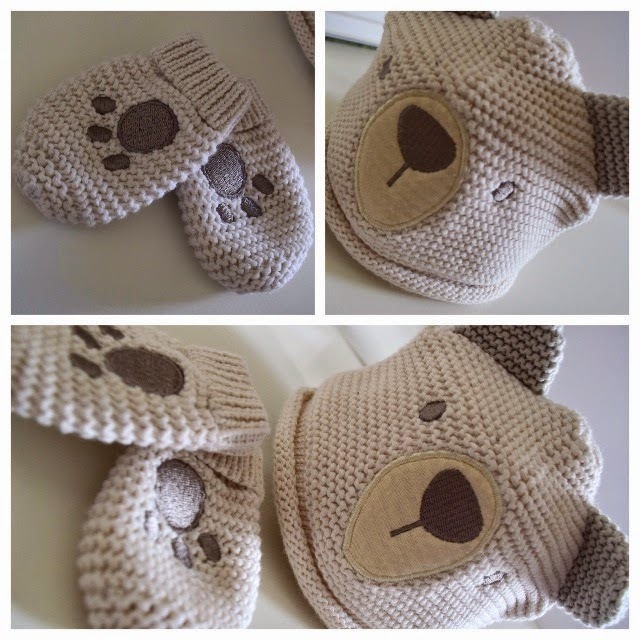 We have really struggled to find hats that fit our boy's head, so were delighted when we found this gorgeous knitted bear hat from their range. Although this design is no longer in stock, they do also have very cute fox and panda styles which are equally adorable and will protect your baby's head from any icy drafts. Sadly, the mittens are too small for our newborn's pianist-like fingers so have had to leave those at home in favour of scratch mittens. With all this talk of getting out and about, I am off for a walk with Charlie and Buddy while the sun is shining. I hope you're enjoying the weather too!